The Mission Collection offers a distinctive selection of Hand Scraped, Soft Sculpted or Smooth surfaced hardwood floors. Our floors are Hand Crafted by skilled artisans to offer a traditional charm combining the best of the past with today’s sophisticated style. Beautiful Natural and Stained Finishes and various width options can be combined to create beautiful patterns. 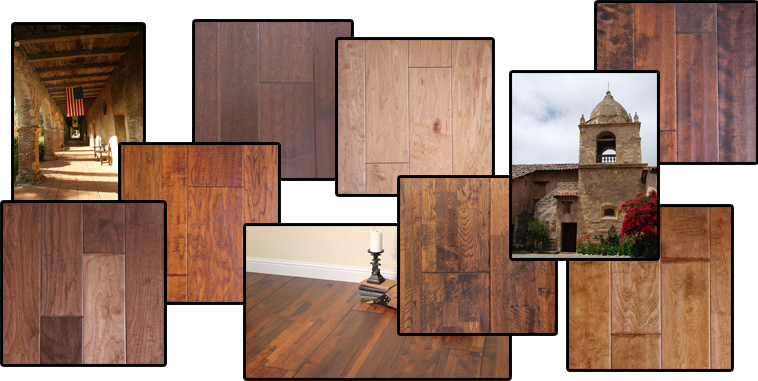 Design your room to fit your lifestyle - the Mission Collection has the hardwood flooring you’ve been looking for!